Following on from last weeks post I thought I would dedicate some time to my favourite natural sweeteners as it’s one of the areas of nutrition that I find most interesting and I love creating sweet treats in a healthy natural way! I also wanted to give a few home truths on a popular sweetener which is very trendy but isn’t all that good for you. 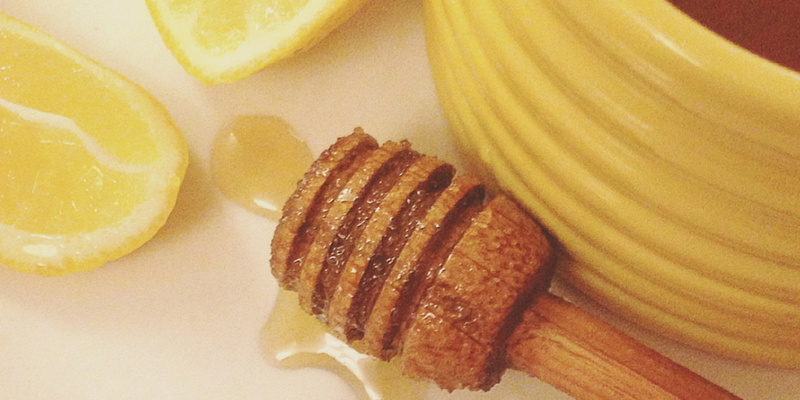 It may seem like an obvious choice but honey is just so good for you. It’s been used as a medicinal treatment for thousands of years and is said to be beneficial for those who have allergies such as hay-fever as it contains traces of local pollen that helps you to build up a natural immunity. Taking a spoonful of honey with a piece of honeycomb in every day for two weeks can massively reduce the symptoms of hay-fever – I will definitely be trying this out next spring! I love to use honey as a sweetener in hot drinks and its great in a stir-fry or drizzled over vegetables such as butternut squash or parsnips before roasting in the oven. Antibacterial – Honey is my absolute go-to when I’m feeling under the weather and is brilliant for sore throats and colds. Drizzle a teaspoon into some hot water with a slice of lemon and fresh ginger and it will help draw out the moisture and reduce inflammation in your throat. It’s very soothing on an upset stomach too, fighting against harmful bacteria in the gut. Antiseptic – Not only is it good for your insides, honey can be applied topically as an antiseptic on wounds and sores and has even been used on burns to speed up the healing process. Antioxidant – we need antioxidants from our food to keep our whole bodies healthy and honey is an excellent source! Preventing damage to our cells helps our immune system and reduces the risk of many cancers. This is probably my favourite natural sweetener as it’s great to bake with and gives a wonderful flavour without being overpowering. I love mixing it into raw cacao and melted coconut oil to make healthy chocolates and it’s delicious in porridge too! Maple syrup has a low GI (Glycaemic Index) which means it takes longer to have an affect on your blood sugar levels than other sugars. Meaning that you won’t crash shortly after consuming it, which can lead to mood swings, feeling lethargic, headaches and worst of all…craving even more sugar! It’s such an easy and negative cycle to get into, so it’s best to stick to natural unrefined sugars, in doing so there are no additives/preservatives or nasty chemicals in there which can lead to obesity, heart disease and diabetes to name a few! Among many health benefits, maple syrup contains Phytochemicals which are compounds that are found in plants that fight against disease such as inflammation to ensure your cells can regenerate and stay healthy. Date syrup is extremely popular in the middle east and is used for sweet and savoury dishes. So far I have only used it in sweet dishes such as overnight oats or when I’m baking but I hope to try it out in a tagine soon! Dates are a staple part of my day to day diet and I always have them available as a snack or if I want to satisfy my sweet tooth, I use them as a sticky sweet base for my wellness bars! They are full of fibre which is important for your digestive system by keeping things regular and they increase the growth of healthy bacteria in your stomach. Dates contain high levels of potassium which is needed for a healthy heart and is particularly beneficial for to those who have high blood pressure and they can help reduce the risk of stroke. Being high in Iron and antioxidants known as Tannins helps the clotting of blood and contributes towards a generally healthy cardiovascular system. I’ve only recently discovered date syrup in my local health food shop and you can buy it online too but If you are struggling to find it, it’s super easy to make your own! I like to soak some dates in warm water until they soften and then blitz in the food processor until it forms a smooth runny sauce. Agave Syrup has been promoted as a healthy alternative to chemical laden, artificial table sugar as it derives from the agave plant or cacti, the same one used for making tequila! When you look a little closer, it appears that the sap is so heavily refined that it’s just as bad for you as high fructose corn syrup and any nutrients and anti-oxidant’s that could be beneficial to your health will be potentially lost completely within the refining process! Agave is considered a low GI sweetener due to the low levels of glucose which is why it’s often advertised as suitable for diabetics, however it’s extremely high in fructose (even higher than regular sugar!) which can only be broken down in the liver. Consuming high levels of this will result in your body storing it as fat around the liver and stomach which can develop over time into fatty-liver disease, weight gain and high cholesterol. Sugar is a tricky thing as too much of any kind can be harmful but by switching to natural sugars you can reduce those risks and nourish your body with nutrients, vitamins and antioxidants whilst enjoying sweet treats in moderation.